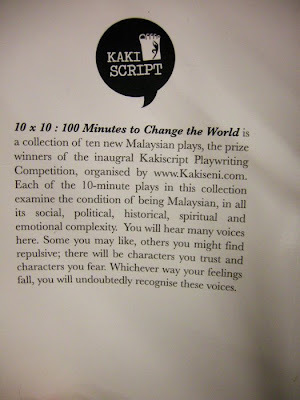 (Maybe in conjunction with the 10 minute play festival), she was reading a small book of 10 minute local plays from the website Kakiseni. None of them were staged at the festival but I remembered getting this from free from them a few months back. Like him, it wasn't her book but she found it lying around the Green Room. 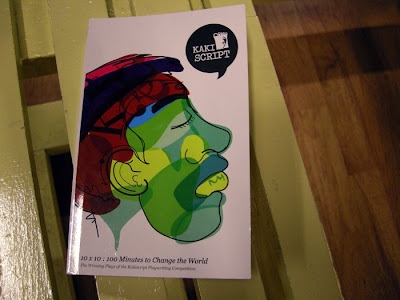 It's a collection of scripts and she likes what she's read so far. 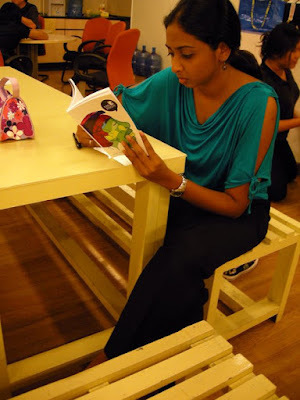 Her favourite book is Princess by Jean P. Sasson, and she mainly favours women biographies. "But I'm not a feminist though."